When you’re feeling peckish and your have old rice in the fridge, fried rice is the way to go. It’s fast to make and even faster to eat. 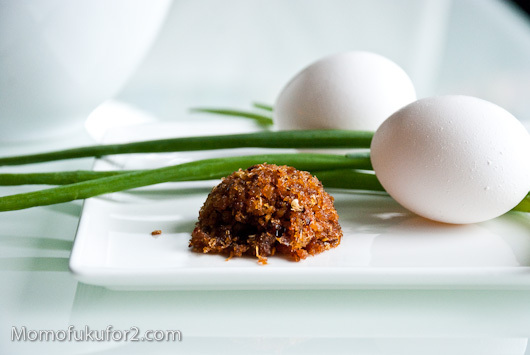 If you’re lacking fresh ingredients, just take a look at what leftovers you have languishing away. I’ve made fried rice with leftover barbecue meat, deli meat leftovers, and even just eggs and rice. 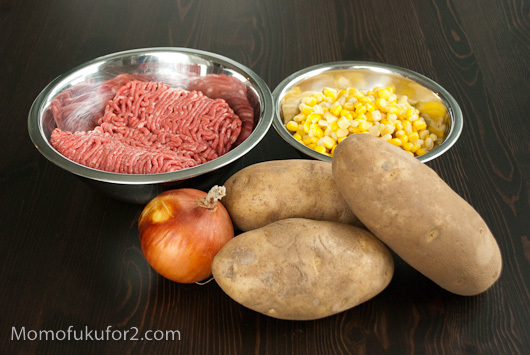 Shepherd’s pie was my most favourite thing ever to eat when I was a kid. I know I say a lot of things are my favourite ever, but Shepherd’s pie really was. I first tasted shepherd’s pie at the Heritage Festival in Edmonton, where I grew up. The Heritage Festival was an outdoor showcase of multiculturalism with performances, crafts and most importantly, food. I’ve never eaten grits before, but I always imagined that they’d be like a corn-y sort of congee (rice porridge). Seeing as I love congee and I love corn, it would only be logical that I would love grits too. 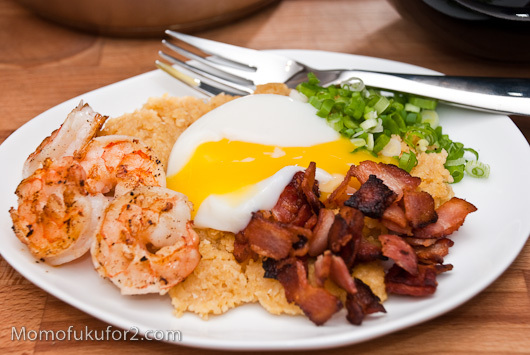 Chang’s shrimp and grits photo is amazing: the grits look creamy like a super thick soup. Mike: Why do you have to poke them with a fork to separate them? 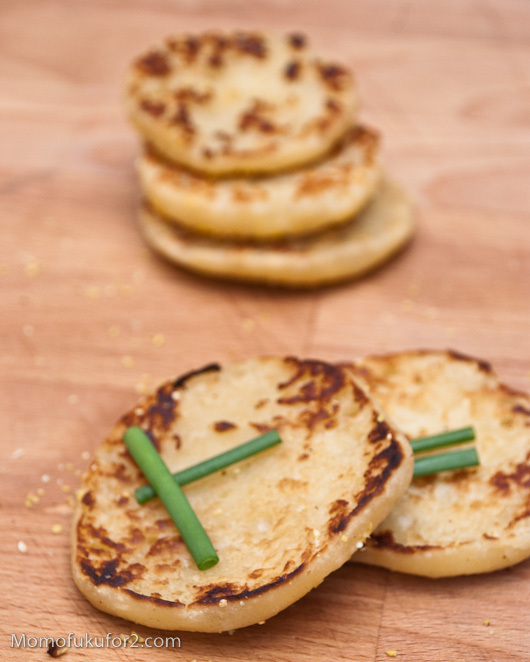 Me: It’s just the traditional way you separate English Muffins. Mike: The English don’t have knives they can use? If they have forks, they have knives. Me: I have no idea. English muffins are not my friends. I have a love for hand-held food, and of course, sandwiches fit nicely into the handheld category. 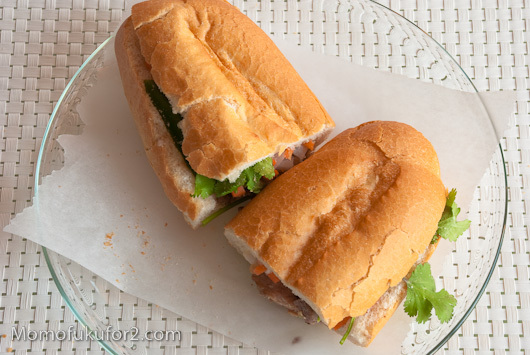 One of my favourite sandwiches is the Vietnamese sub, or bánh mi. 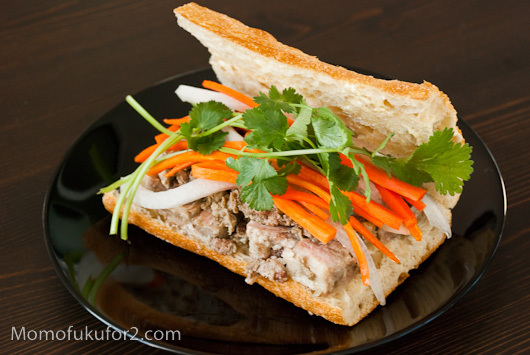 Once colonized by France, Vietnamese cuisine has various French culinary influences, but one of the best is the humble sandwich. 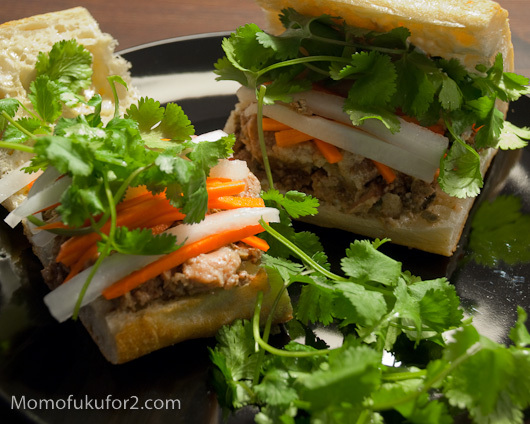 A light, crackley baguette with soft fluffy insides is the canvas for savoury Vietnamese meat fillings, sweet and sour pickled carrot and daikon, fresh cilantro and spicy peppers. 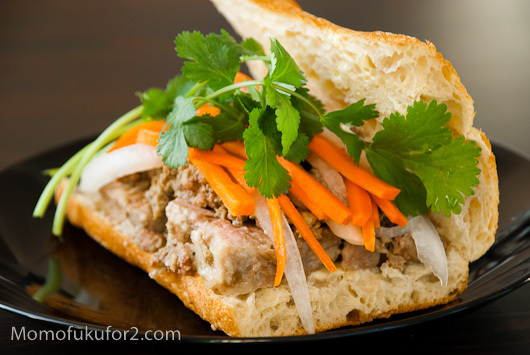 The combination of ingredients has flavour and textural contrasts that make most who try it instant converts to the Vietnamese sub. 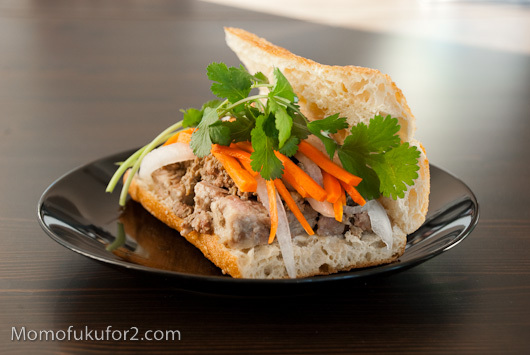 I was excited to try Momofuku’s version of bánh mi because I’ve been meaning to make these sandwiches at home, even though they’re cheap, plentiful and damn good here in Vancouver. Tasting the terrines on their own, I could easily imagine eating many meaty delicious sandwiches. Unfortunately for me, I tried to make those Vietnamese baguettes, which didn’t turn out anything like I wanted. Me: I told you we should have gotten back up baguettes. Mike: I told you we should get back up baguettes. Me: No, I asked you, what if they don’t work out, should we get back up baguettes? Mike: I said we should get them. It was a trivial tiff, especially when back up baguettes needed to be found, so we headed out in to the Olympic fevered streets in search of fresh Vietnamese baguettes. There’s only one Vietnamese sub shop in our walking vicinity and with Olympic road closures basically surrounding our building, walking was our only option. After fighting our way through the throngs of drunken red and white celebrators, we reached the sub shop. We asked the counter girl if she could sell us some plain baguettes and she turned to her mom to ask, “how much?” but her mom just shook her head no. Usually sub places will sell you plain baguettes, but based on the amount of walking traffic, I guess they thought they could make more money selling bánh mi than plain baguettes. Rejected, Mike and I headed over to Urban Fare for a regular baguette, which is a worthy substitute, but nothing like the real thing. Of course, when we got there, there were no baguettes to be found. Ok, there was a multigrain baguette, but multigrain and bánh mi don’t mix. I asked the Bread Dude behind the counter if they had any baguettes and he gestured towards the baskets. Bread Dude: Of course we have some baguettes, over there. Me: Oh really? I didn’t see any. Bread Dude: There (pointing at a basket of ficelle). Me: Those are ficelle. Do you have any traditional baguettes? Bread Dude: Hold on, I have some here behind the counter. I waited patiently while I watched him bag up a loaf of ficelle. Did this man not understand what a baguette was? I was about to open my mouth to say something when he handed me the bag. The loaf was hot and heavenly and I’m not one to argue with fresh, hot bread. Vietnamese sandwiches on ficelle it was! The resulting sandwich was bold, juicy and delicious. Kewpie mayonnaise, smeared chicken liver terrine, and layered ham terrine slices, were topped off with pickles, cilantro and hot peppers to combine into bites of meaty goodness balanced with crisp freshness. The sandwiches were so good we easily finished of the loaf of ficelle. 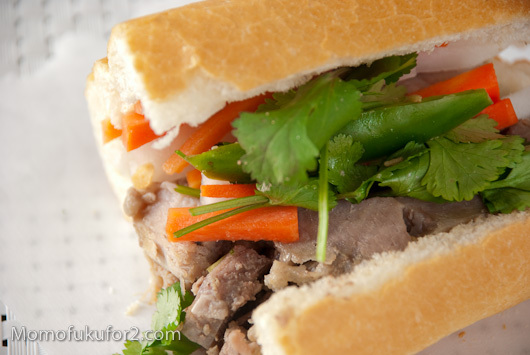 With the fridge full of terrine, a couple of days later I visited a Vietnamese baguette shop to buy half a dozen fresh baguettes for home style Momofuku bánh mi. The Vietnamese baguettes made all the difference. I thought the terrines tasted good on the ficelle, but they were brilliant on the Vietnamese baguettes. 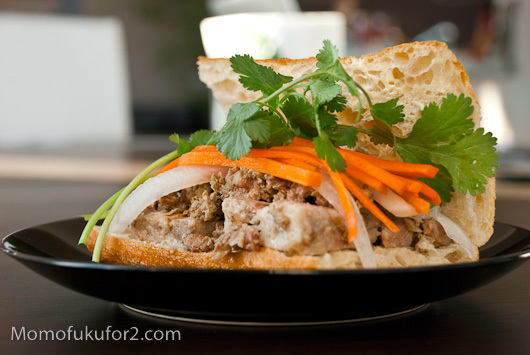 Were my home made Momofuku bánh mi the best bánh mi I’ve ever eaten? Probably not; it was fun to make them at home, but I think I’ll leave bánh mi making up to the professionals and just buy them for a few bucks a pop.